November 30, 2015, Rybinsk. - During the IX international expo-congress “Global Education 2015”, the representatives of the Agency for Strategic Initiatives (ASI) and Russian Ministry of Education and Science presented with awards the participants of a systemic project dubbed “Training of workforce in compliance with the expectations of the high-tech industries based on the dual education approach”. Three companies have been named the best in the said project: NPO Saturn, Pervouralsk Piping Plant and Volkswagen Group Rus. NPO Saturn pays a lot of attention to the question of training and qualification upgrade of its employees not only through the creation of an in-house training system but also through close collaboration with the profiled educational institutions. The company’s partners in this domain are the Rybinsk industrial-economic college (RIEC) and the P.A. Solovyev Rybinsk State Aviation Technical University. 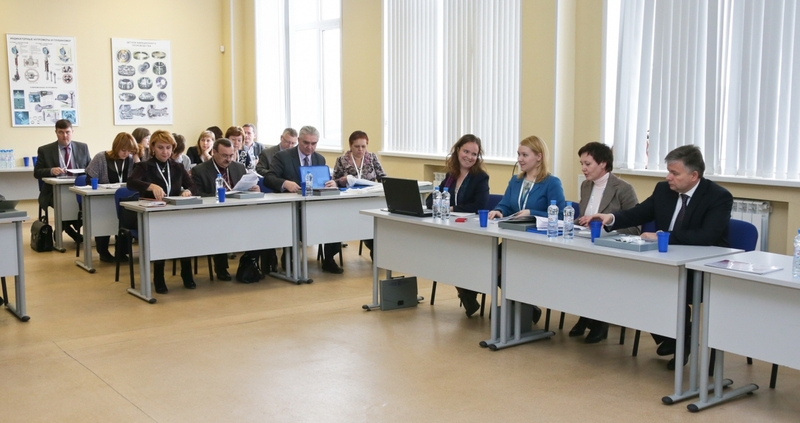 In December 2013, following the results of the competition screening, the Yaroslavl Region entered the list of pilot regions to implement a dual education model. 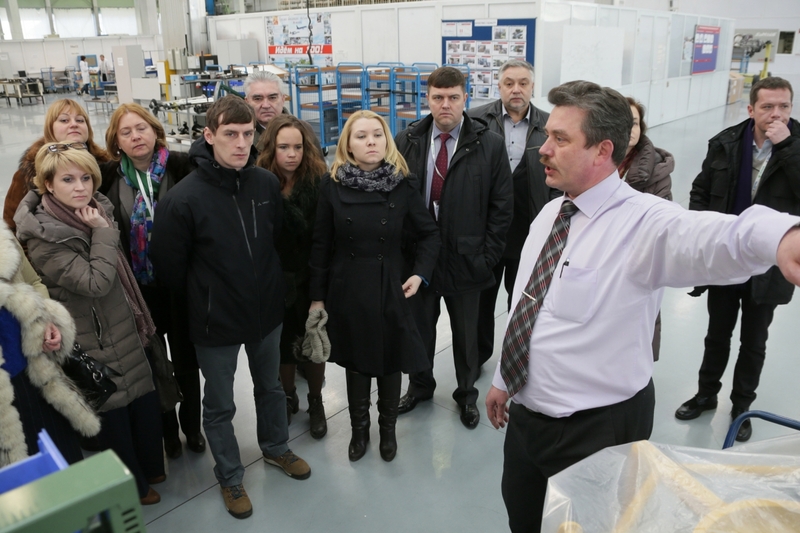 And, in 2014 NPO Saturn, working conjointly with the Yaroslavl Region’s department of education and the Agency for Strategic Initiatives, started implementing the dual education program in the Rybinsk industrial-economic college. 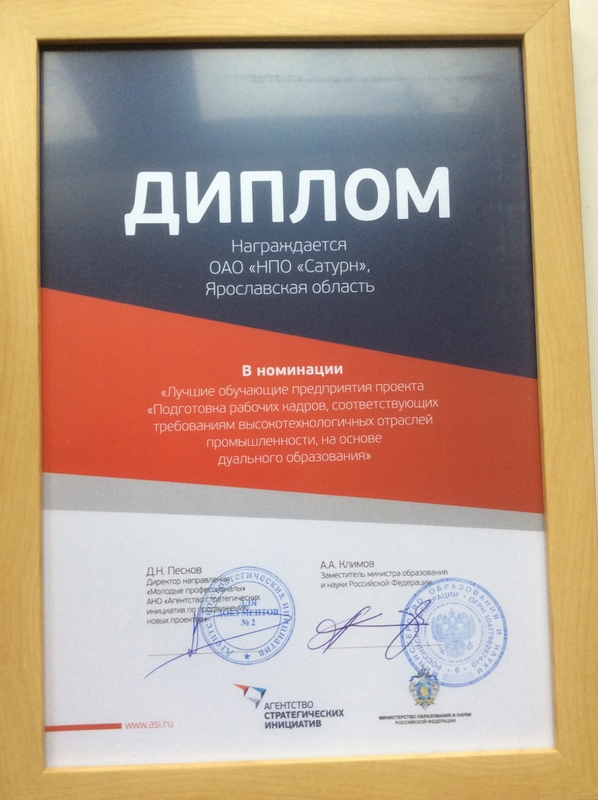 Thanks to the use of the dual education approach, the share of the hands-on training of the future shopfloor operators has significantly increased; RIEC students first undergo training at the NPO Saturn training center and subsequently at the real work stations in the company’s production workshops. In other words, the students have been given a unique opportunity to master their profession directly in the company acquiring exactly those skills which will be required down the road in the high-tech production environment. According to Ekaterina Loshkareva, head of the department of monitoring the national competences and qualification system curating the “Young professionals” branch within the Agency for Strategic Initiatives: “We thought - to distinguish at the end of the year the regions that have demonstrated excellent results at implementing the dual education project - would be the right thing to do. The company has also started to actively participate in the movement representing a system of regional, national and international championships of workmanship of young operators and students based on the WorldSkills international standards seeking to improve the quality of vocational training.